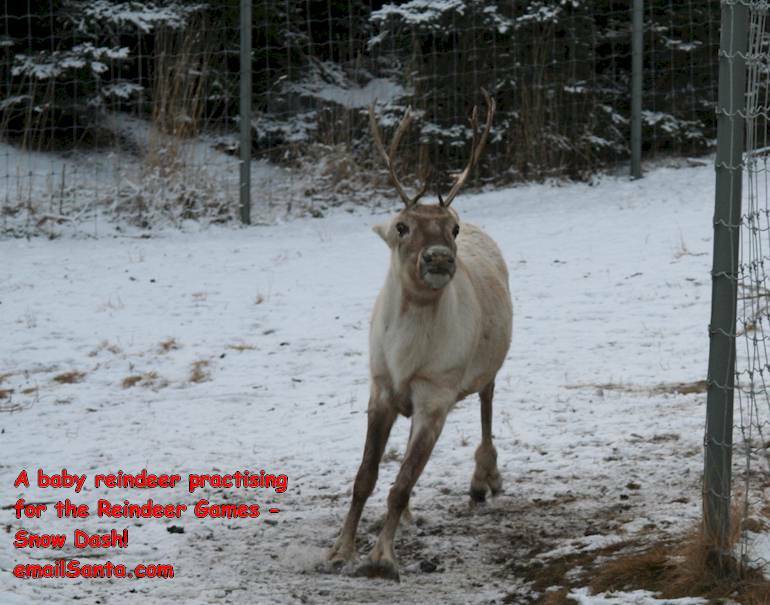 North Pole Reindeer Games - The Santa Snow Dash! Reindeer Games – Dash Away! Reindeer Games – Snow Dash! The reindeer have been very busy with fitness training today. They want to be in top-tip shape for the North Pole Reindeer Games. Things did not go very well for Dasher. He was practicing for the snow dash. This is his favourite game because Dasher loves to dash! He was dashing through the snow faster than he had ever dashed before. But Dasher wanted to dash even faster. Dasher went to the top of a big hill to start his dash. The hill would give him a turbo boost! Well, you should have seen him go – WOOSH! He was as fast as a train coming down the hill. Dasher was ZOOMING along! He was singing “Woo-woo! I’m the runaway train!” It was so much fun. All the other reindeer started to cheer with glee. Dasher was the fastest reindeer they had ever seen! Then there was a problem. Dasher was so busy dashing that he forgot all about stopping! He was heading straight for a huge snow drift. It was too late to slow down – THUMP! OUCH! Dasher crashed into the snow! The other reindeer looked into the Dasher-shaped hole in the snow. All they could see was Dasher’s bottom! He had to come out backwards. They burst out laughing when they saw his face. He had a big white snowy beard on his chin! Dasher looked just like someone else they all know – can you guess who? Going fast can be fun but you do have to be careful. What things do you like to do fast? What things do you like to do slow? What I like to do with my friends is swing on the swings. 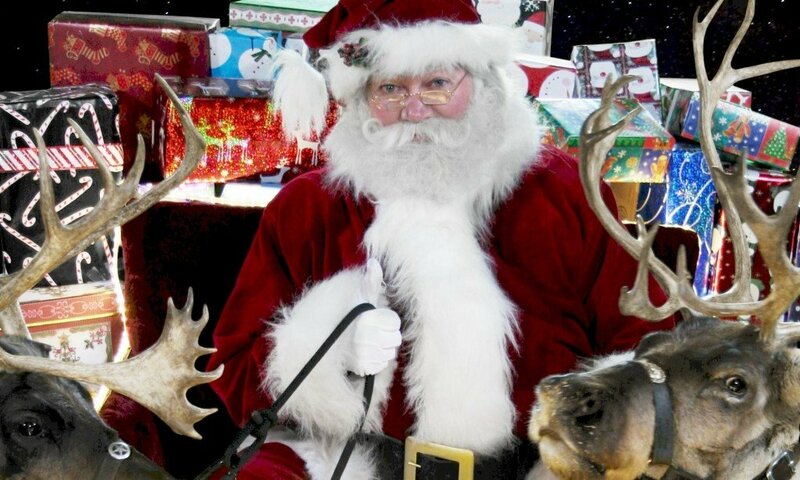 Hope you know who will guide your sleigh. I love you’re blog a lot and I hope you get a lot of rest be for crust as and have a good very good night . I like playing jump rope with my friends. you are the best Santa in the WORLD!!! I like to hang out with my friends when I see you them at school we also like to talk to my elf buddy. I like to build snow tunnels. Hi. For reindeer games a cool idea is a Santa hat race. An elf puts a Santa hat on every reindeer and the reindeer go as fast as they can without dropping the hat. Whoever wins gets a carrot! I love galloping on my pony, even if she is not a reindeer! i want a 3ds and a game. Today me and my friends bilt a snow fort and had a huge snowball battle with other forts! Dasher should not have went too fast and I’m sure he learned his lesson! I hope the reindeer enjoy the snack. I hope you have a Merry Christmas at the North Pole. I love everybody who works there. I hope the reindeer drive safely to the people’s houses. I like to run too but i always make sure i am also careful! hi santa have you cleand your laptop from ruldof sneezing on it? Good job Dasher! I like to dash fast too and chase the boys at recess. WOW!!!! Well done Dasher that looks like amazing running. I think you will be in shape on christmas eve!!!!! See you on christmas eve!!! p.s i did that too.. I like to talk and socialize with my friends. We are all very understanding of each other. Sometimes, we mess around and try to be funny, but other times, we are DEAD SERIOUS!!! Hi elvs how are you doing? I’d prefer to ride my bike but oh well. I suppose reindeer can’t ride bikes. Well Done Dasher! I like to dance and sing Christmas songs when I play with my friends. Santa , I like to run really fast in P.E. at school because when you run fast you can really feel cold wind on you. Looks like those reindeers are having fun. I like to play tag and I like to make up games with my friends. I also like to do crafts. Hello Santa you are such a great man and sometimes i wonder if you really wear a jolly red suit or if you just wear jeans and a t-shirt like my dad does (*wink*) My Tad-Cu died a couple of years ago and he had a white beard like you and liked wearing red. Do you think santa is my granddad? I like to play school games and board games. I also like to do arts and crafts and play with my dolls and dollhouse! I like to swim fast and run slow.